Pick Open QuestionsFor Your Survey! Create A Survey Using A Variety Of Question Types Such Open Questions. 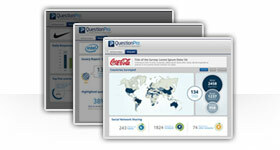 Sign Up For Free With QuestionPro. QuestionPro is also fully optimized for mobile environments, so you can create surveys on devices such as smartphones or tablets. 1. Starting Blank: You can begin with a blank template and choose from a variety of question types and personalization features to customize your survey to your liking. 2. Uploading A Survey: If there's a survey or survey questions that you'd like to use, you can use Microsoft Word to easily import them. 3. The Template Library: You can pick from over 100 ready made survey templates that cover a large variety of topics like customer service and marketing research. 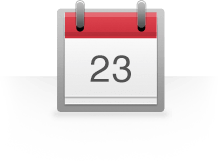 Open questions allow the user to type an answer into a text box. It can either be a large text box for a more detailed answer or just a single row of text for them to write a short answer into, such as their name or address. A multiple choice question allows you to construct a short list of answers which forces your respondents to select one of those particular answers. You can add as many answers as you like. A rating scale gives your participants the option to rate a particular subject. You can have them choose a scale of 0-10, or put in quantitative words such as "always, sometimes, never". A matrix table combines several multiple choice questions into one easy table. This is convenient if you want to rate the same subject but on different characteristics. Step 3: Select your preferred method of survey creation, which includes choosing a template from the template library, importing questions that you already have, or starting from a blank template. There are various question types that you can add to your survey in addition to many customization options which includes having direct access to your survey's CSS. What's the process for signing up? Can you use your email to create a brand new account in just a matter of seconds? Once your account is made, how fast can you jump in and start creating surveys? Do you have multiple ways of starting your questionnaire creation? For example, is there a template library where you can choose a variety of ready-made surveys, such as marketing, customer service and human resources? What if you have questions that you'd like to upload directly into the survey editor? Are you able to do so? How about starting from a blank template? Do you have the option of choosing over 30 question types and a variety of personalization options? With QuestionPro, you can do all of this, plus more! Once you've perfected your survey, what are your delivery options? Can you import a list of email addresses and use those to send your survey out to? How about embedding your survey to your website or blog? Maybe you need a QR code generated to that links directly to your survey. Are you able to make one from the editor? How easy is it to post your survey to your social media channels like LinkedIn or Facebook? Can you easily do that from within the editor? 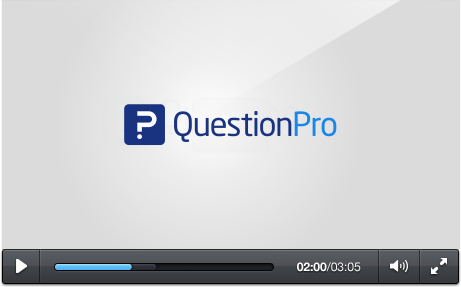 When you go with QuestionPro, you can do all of the above and even more. After you've sent your questionnaire out and you start having results come in, what are you able to do with them? Can you create infographics and word clouds once you've decided you have enough data that you'd like to report on? What sort of analysis tools are available? Are you able to create data filters and cross tabs? What about trend and TURF analysis? Can you perform those from within the interface? 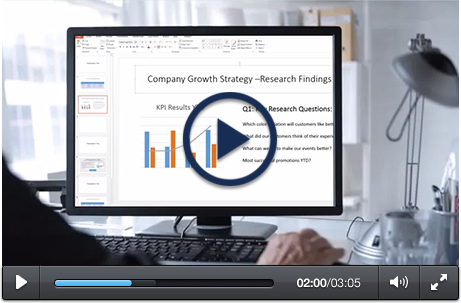 What if you need to export your results for more in-depth analysis, or back them up to cloud services like Dropbox or Google Docs? 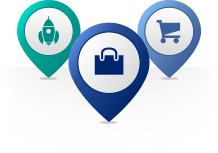 QuestionPro provides you with all of these services, plus many more. You can immediately begin creating an unlimited number of surveys as soon as you sign up with QuestionPro. There are three different options for creating a survey that are available to you. You can start by choosing a survey template from the template library, which covers a multitude of topics including customer satisfaction, voice of the customer and human resources. If you have a questionnaire that you'd like to use, you can upload it directly to the interface with Microsoft Word. If you'd just prefer to start from a blank template, you can choose from over 30 different question types and a variety of personalization options. After you've created and customized your survey, you have multiple options available for sending it out. For example, if you have a list of email addresses, you can easily import them into the interface for easy distribution. 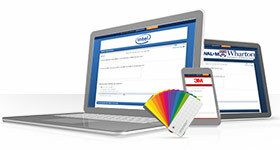 You can also embed your survey into your website or blog with custom HTML code that we provide. 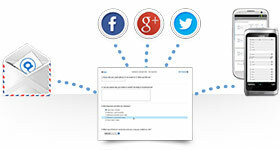 In addition, you can easily post your survey to your social networks such as Facebook and Twitter. You can also generate a QR code that links directly to your survey. Once your survey is distributed and you have responses coming in, QuestionPro provides you with many options for reporting and analysis. You can start by creating data filters and pivot tables and perform trend and TURF analysis from within the interface. Also, you can create infographics and word clouds right in QuestionPro, depending on the sort of data you have. If you need your results back up, you have the option of bringing it into Dropbox or Google Docs.